M.R. 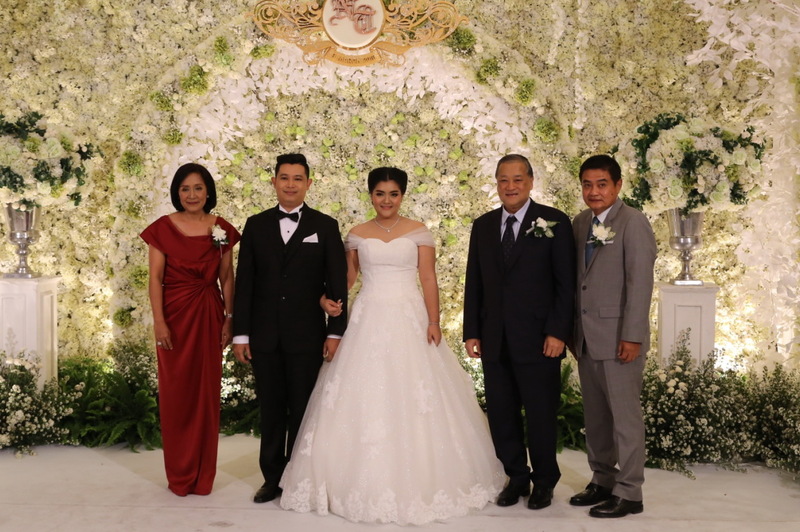 Sukhumbhand Paribatra, Governor of Bangkok, recently presided over the wedding celebration of Miss Nanthaporn Cheenimit and Mr. Thanadol Khanthajeen at Pavilion A of The Grand Fourwings Convention Hotel. 1. Miss Nanthaporn Cheenimit was standing in the middle. 2. Mr. Thanadol Khanthajeen was standing in the left hand side of Miss Nanthaporn Cheenimit. 3. Mom Rajawongse Sukhumbhand Paribatra was standing in the right hand side of Miss Nanthaporn Cheenimit. วันที่ 14 มีนาคม 2559 เวลา 17:46 น.